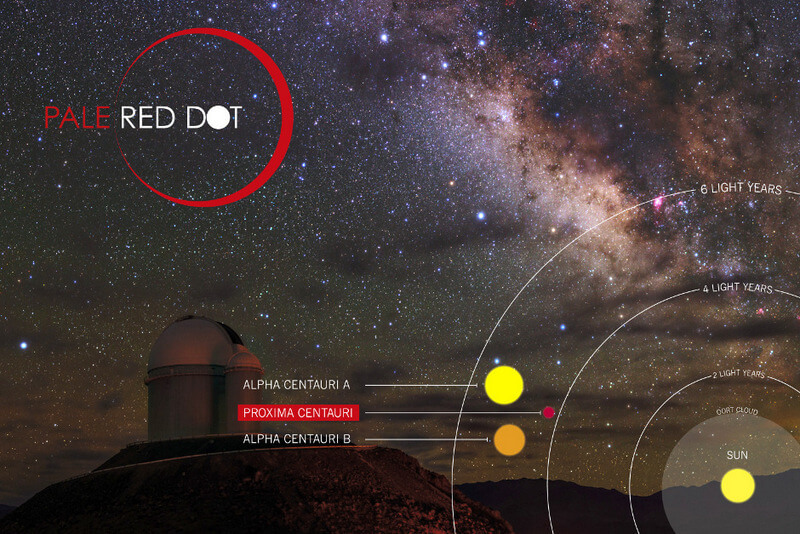 Proxima Centauri, the nearest star to the Sun (hence the name); It has apparent magnitude 11.3, 4.27 years distance light; It is located in the constellation Centaurus and form a multiple system with α Centauri, considered until 1915 as the nearest star. Due to its proximity, its angular diameter can be measured directly; Measurements indicate that its radius is equivalent to about one-seventh that of the Sun. The mass equivalent to about one-eighth of the solar one, while the density is 40 times higher than that of the sun. Although Proxima possesses a very low brightness, it is subject to sudden and random flares, caused by its magnetic activity. The magnetic field of this star is powered by the convective motions that occur in its interior and the blasting resultant periodically generates an emission X-rays similar to that produced by the sun. The composition of Proxima, its low energy production rate and its dynamics indicate that remain in the main sequence for at least 4 more 000 billion, years, or for about 300 times the current age of the universe. Research by orbiting bodies around Proxima Centauri have so far not produced any results, though these outcomes could only have ruled out the presence of brown dwarfs and supermassive planets. Given its nature as a red dwarf and flare star, the possibility that in its eventual planet can develop life is yet to be ascertained. 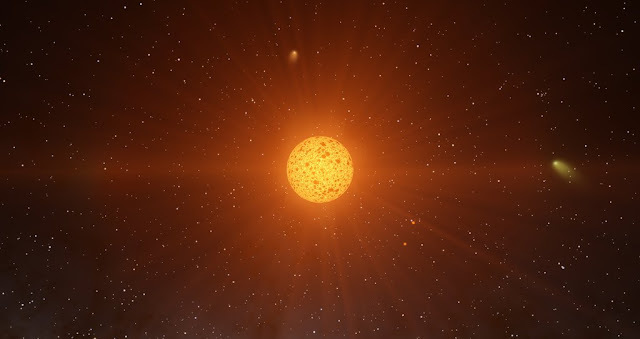 Its proximity to us makes this star one of the ideal destinations for a hypothetical future of interstellar travel. Because of its strong southern declination, Proxima Centauri, as are the primary components of the α Centauri system, is invisible from most areas of the northern hemisphere; only the vicinity of the major components become visible Tropic of Cancer, while Proxima, being almost two degrees further south, southern horizon lever only from the 27th parallel north, equivalent to the latitude of Florida, Upper Egypt and of Northern India.